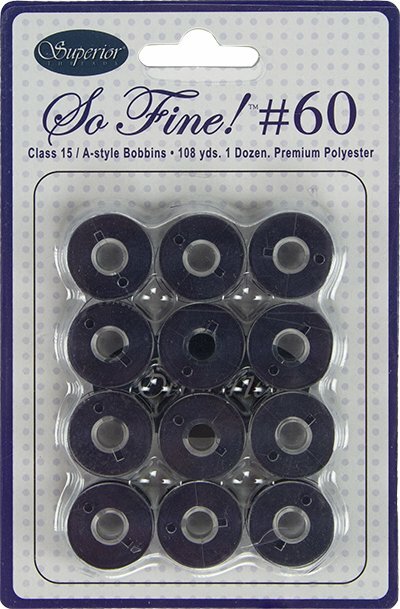 Prewound Class 15 Plastic-sided Bobbin. 1 Dz. 108 yds. Per Bobbin. 60 wt. lint-free polyester thread.